Service messages (people added or removed from the group, etc.) 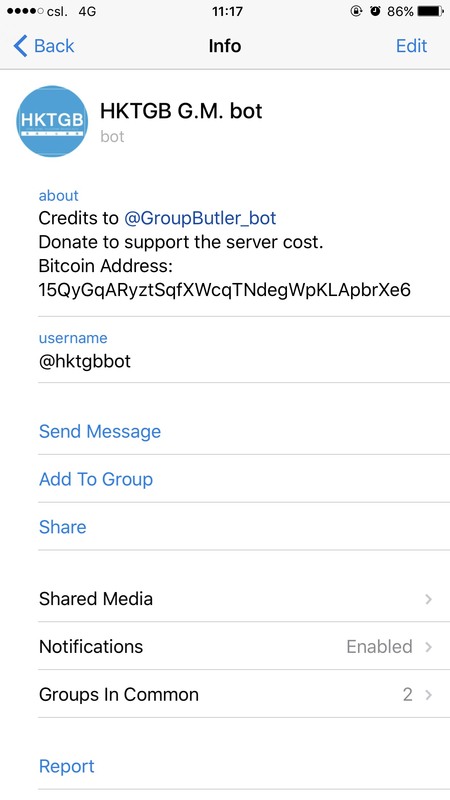 Messages from channels where it's a member On one hand, this helps some of us sleep better at night (in our tinfoil nightcaps), on the other — it allows the bot developer to save a lot of resources, since they won't need to process tens of thousands irrelevant messages each day. Well if you can't add someone via group link you can add them by pressing add members and adding them via @. But besides that I don't know any other way to add someone to a group.